ABC. x 30mins. 1964. Producer: David Price / Director: Hal Lashwood. 45 (OP)	Festival. FK-643. 1964. 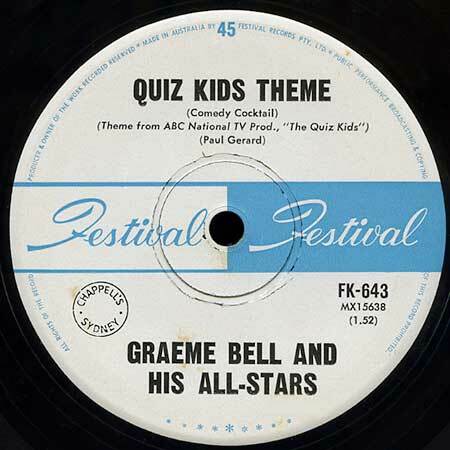 “Quiz Kids Theme”. Graeme Bell and his All-Stars.